ECView Pro identifies network devices and produces a TCP/IP topology map where each device is represented by an icon. The IP address discovery function allows selection of devices to be discovered and included in the topology map. ECview Pro also connects end nodes using Edge-Core's proprietary discovery algorithm. ECView Pro provides an interface for administrators to monitor CPU and memory utilization for managed devices. RMON is supported to collect statistical data from devices, such as bandwidth utilization, errors and collisions, packet types, packet groups, and packet sizes, which allows administrators to know the network performance. Port utilization of managed devices is also monitored. Users can set thresholds, which when reached may: send SNMP traps, send emails, block ports, play sounds, run custom commands, or invoke ECView Pro's system tray and popup window. ECView Pro supports two levels of configuration management; one basic and the other advanced. The basic level provides a graphical interface to allow administrators to view or configure managed devices. The advanced level provides configuration and firmware upload and download capabilities, which are useful for mass deployment scenarios. Administrators can select certain devices from the topology map and perform a firmware upgrade or device configuration upload and download. The Event Manager is the center for all events generated under ECView Pro including reception of SNMP traps. Events can be displayed as on-screen messages or saved into a database for later analysis. All event messages can also be exported to various file formats. ECView Pro is an inventory-based system that shows the asset information for all devices in the network, including WMI devices, such as IP address, MAC address, vendor, model, system name, etc. Users can query inventory information using different filter types. Performance thresholds can be set under ECView Pro and when reached, causes traps or email messages to be sent out to notify the event. ECView Pro has a report designer function that can generate new reports, or customize existing reports. All data sources that are available can be easily integrated into reports. ECView Pro can support the management of other third-party network devices. The following discovery protocols are supported: LLDP, CDP (Cisco), FDP (Foundry), NDP (Nortel) and EDP (Extreme). Telnet, Web, and SNMP management interfaces are available for supported network devices. ECView Pro is able to manage a network device through the MIB Browser. A MIB can be compiled and stored into a database, which allows users to manage the device though the MIB Browser. failure by trap or email message. 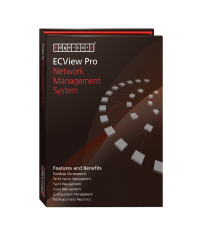 ECView Pro is Edge-Core’s new generation network management system. 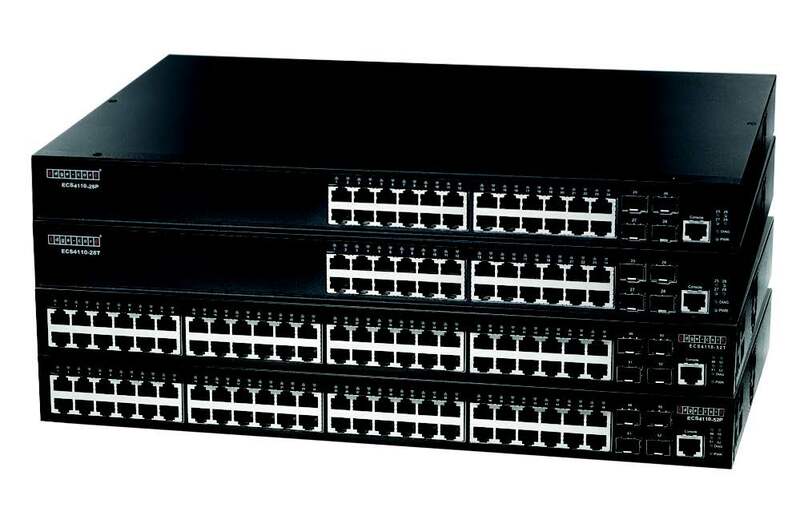 It provides a scalable, comprehensive, distributed network solution that gives network managers the flexibility to manage mission-critical networks, as well as a single point for managers to provision Edge-Core and other vendor’s network devices. ECView Pro discovers network devices and generates a TCP/IP topology map showing network inventory, monitors the status of each device in the network, correlates and manages simple network management protocol (SNMP) traps or sends emails when performance thresholds have been triggered, and generates reports in various formats. ECView Pro can also provision through mass deployment, such as scheduled configuration/firmware downloads and updates, monitor network health, and gather performance data.